Secured personal loans may offer you more favorable loan terms. Read about the best lenders for this type of loan. A secured personal loan is called that because the loan is secured by some form of collateral. Unsecured personal loans rely on your personal credit score, financial history, and debt load to determine whether you can be eligible for a loan or not. If you have poor credit or a lot of debt, you’re probably not going to be able to get favorable terms for an unsecured loan, if you can even get one at all. But the main difference between an unsecured loan and a secured loan is that the secured loans consider the assets that you can provide as collateral, making them good choices for borrowers with poor credit. Best for: Low rates for unsecured loans and support if you lose your job. SoFi is a direct lending platform that offers secured home equity loans as well as unsecured personal loans. SoFi’s application process is entirely online and easy to complete. You’ll need to be a US citizen or permanent resident over the age of majority, live in an eligible states, and own your own single-family home. The money usually comes through within 30 days. SoFi does not charge origination fees, although you will have to pay standard third-party closing costs and buildings insurance. There is no early repayment charge, and you can change the date of your monthly repayments if you need to. If you're late with a payment, you'll get a grace period of 15 days from the payment due date in which you pay up before the charge is applied. Finally, if you lose your job and can't make payments, you can request forbearance, which means payments will be suspended although interest will continue to accrue. You can request forbearance for 3 months at a time for up to 12 months. Read the full SoFi perosnal loans review. Best for: Connecting to a vast network of online lenders providing secured loans. LendingTree is an online loan marketplace which enables you to compare pre-approved loan offers from some different lenders. Application process is quick, easy, and entirely online with initial pre-approval coming through within minutes and excellent customer support throughout the process. There is no minimum credit score. LendingTree’s best feature is that it offers secured personal loans that accept a wide range of assets as collateral. With LendingTree, you can access RV loans, boat loans, motorcycle loans, and powersports loans as well as the more traditional home equity and auto refinancing loans. Both new and used cars, motorbikes, scooters, boats, and RVs can serve as collateral. LendingTree offers loans of up to 80% of your home value and no upper limit when using motorbikes, cars, boats, and RVs as collateral. APR rates vary depending on what you're providing as collateral, your personal credit score, and your financial history, but home equity loan interest rates begin at 3.7%. An average $25,000 auto loan with a five-year term begins at 3.18% while you can borrow up to $100,000 for powersports equipment like snowmobiles, jet skis, and ATVs. Repayment terms can be anything between 5 and 40 years, although you don’t want to still be paying after your vehicle or equipment is obsolete. LendingTree does not charge any fees itself, but early repayment charges, late fees, and personal check processing fees are all set by the lender you choose. Best for: Quick and easy application for secured loans. LendingClub is an online peer to peer loan marketplace that connects borrowers with lenders. Because it has such a large database of lenders, it can provide lower rates and better solutions for borrowers with poor credit. You can get a secured loan using your car as collateral – auto refinancing – through LendingClub. Applications online are quick and easy, and you'll get an initial response within minutes. To qualify for auto refinancing, your car needs to be under 10 years old and in good condition, have less than 120,000 miles on the clock, and be for your own personal use. If you already have a loan on your car you need to have at least 24 months of payments remaining and an outstanding balance of $5,000 to $55,000. LendingClub does charge an origination fee and personal check processing fee. However, if you fall on hard times and can’t keep up with repayments, you can ask to pay interest only for up to 3 months. Best for: Pre-approved secured loan offers from multiple lenders. AmOne is an online loan aggregator that shares your application with multiple loan providers. Pre-approval for loans takes just a few minutes and then you can use AmOne’s comparison tool to compare your loan offers side by side and choose the best one. The only secured loans available via AmOne are those that tap into your home equity, either through a mortgage or refinancing. However, you can access a wide range of repayment terms and interest rates through the AmOne platform. You can decide between fixed and variable interest rates, 15 or 30-year terms, and an option to pay only the interest for the first 10 or so years and then repay the capital loan amount. AmOne also offers secured loans for more than 80% of your home value. Read the full AmOne review. Secured loans generally offer lower interest rates, longer repayment terms, and higher loan amounts than unsecured loans. However, the disadvantages of secured loans are that whatever you serve as collateral could be lost if you can't keep up with repayments. The longer loan term also means that you'll be carrying this debt for a much longer timeframe and could end up paying more interest overall. You can get a secured personal loan from banks and credit unions as well as from online loan providers. To apply for a secured personal loan, you'll need to complete an application and usually give information about your employment status, income, and credit rating. Most importantly, you'll have to offer something as collateral on the loan. Collateral can take a wide variety of forms. Home equity loans are the best-known type of secured loan, where your house serves as the collateral. Auto refinancing loans (which are not the same as scammy auto title loans) present your car as collateral as long as it is new or still in a good enough condition. If you use your car as collateral, you’ll be required to take out collision and comprehensive insurance to protect your loan repayments. Other assets which can be used as collateral include RVs, boats, sports equipment, jewelry, and fine art as well as savings accounts or CD accounts. 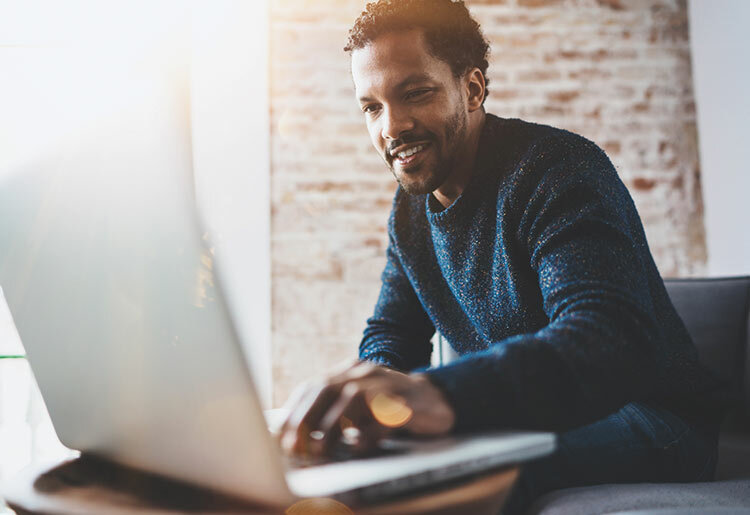 Whether you’re motivated by poor credit or a desire for longer repayment terms and lower interest rates, secured personal loans can be a good option for personal financing. Now, you have all the information at your fingertips to choose the best option for a secured personal loan.